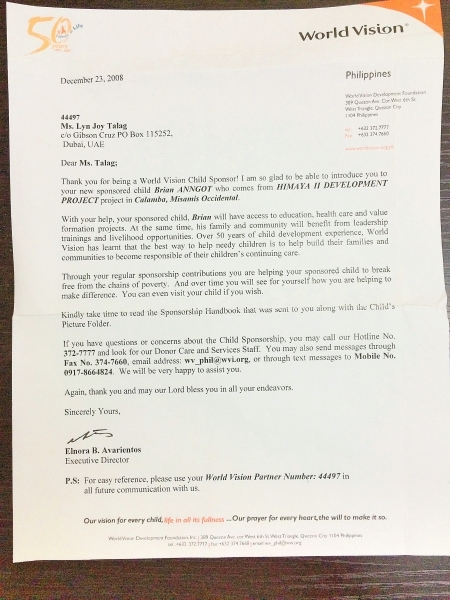 I learned about World Vision from a previous colleague. She just mentioned that she’s sponsoring a child and from there I made my own research. World Vision is a humanitarian organization with presence all over the world with more than 60 years of experience in helping. They work with families, children, and their communities. They have so many causes such as giving clean water, clothing and shelter, ending hunger, education, women and children advocacy and the like, and all are child focus. 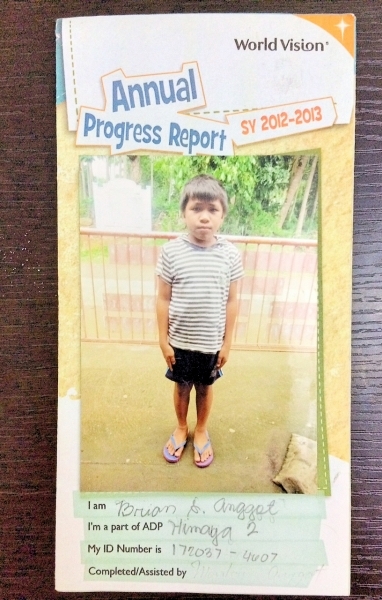 My preferred way of helping World Vision is through child sponsorship. The good thing about the organization is they just don’t give hand-outs. They believe that poverty can be alleviated through education, involving the family and their community. We have heard many times of some children’s desire to go to school but their families’ priority is not education because of poverty. With World Vision, they help fund resources and improvements that benefit them and their community. The goal is for the child and the community become self-sufficient. I’ve been a World Vision child sponsor since 2008. My only preference that time was I want a male Filipino child. I was thinking of my son and how lucky he was to be able to study. We are not rich but we are living comfortably. I can imagine the millions of children in the Philippines who wants to go to school but can’t. Yes, we cannot help them all but we can always start in helping at least 1. They matched me with Brian who’s from Misamis Occidental. I received a welcome pack with a letter and Brian’s profile. That time he was 7 years old but only started school. As I mentioned, my only preference that time was a Filipino boy and I let them assign a child for me. 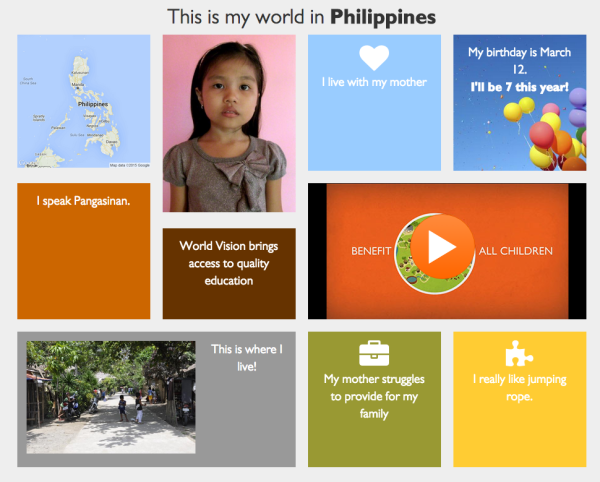 Now, you can browse World Vision’s main website (click here) and see several children that needs your help. Every year I’m receiving a progress report about Brian. With a personal note from him. 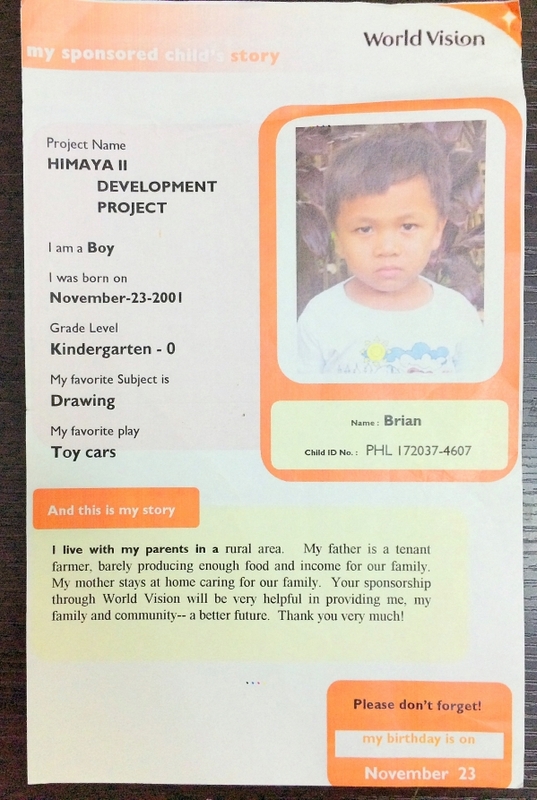 To sponsor one child, you only need to donate PHP 7,200 a year which is just equivalent to 568 dhs. That’s like 48 dhs (PHP 600) per month. I pay using my credit card just for convenience. Bank transfers and Paypal are other payment options. Gibson and I are uncomfortable talking about our charitable giving but I guess World Vision sponsorship should be heard by everyone. I know a lot of people wants to help but they just don’t know which charity institutions to support. 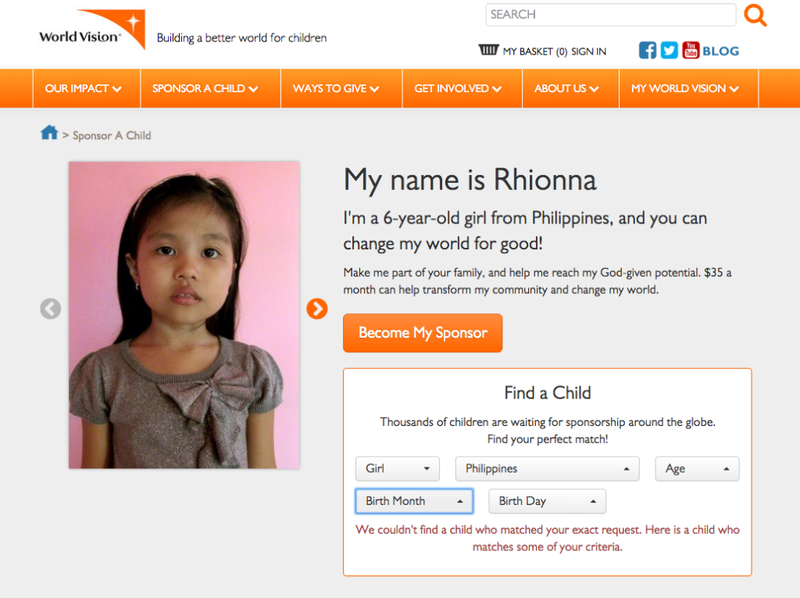 For more information, visit the World Vision Philippine website at www.worldvision.org.ph. Let me know if you need more information. 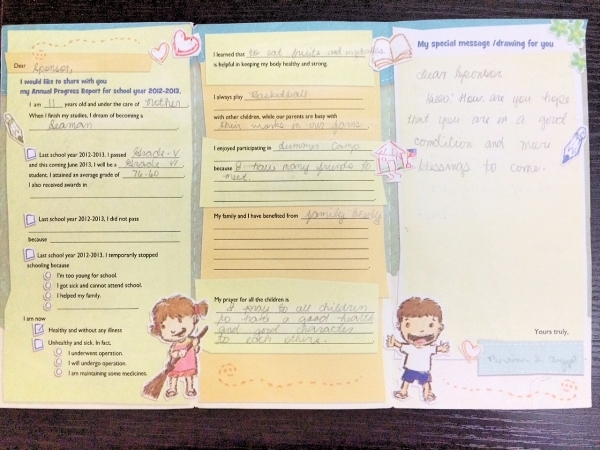 This entry was posted in Musings, OFW, Positivity and tagged Charity, Dubai, Dubai blogger, dubai expat, filipina expat, filipino expat, Pinoy Blogger, Pinoy in Dubai, World Vision.